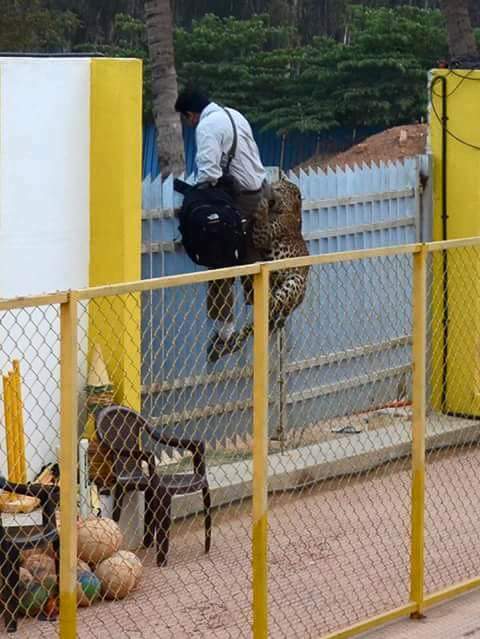 A leopard in a school in Bengalaru caught my attention ……humans moving and squatting more and more of the space required for their habitat, it is normal that now and then we have the furry animal trying to claim back its territory. Or, trying to look for food gone scarce with small herbivores which form part of its diet also having become rare in these areas. Domestic animals provide a valid substitute and they are easy prey for this predator…..Forest officials must remove the animal and release it far away from human habitations. As for the predator, he is lamb like compared to those who foment and practice communal and racial hatred……Bengalaru needs to address both issues… protecting its citizens (by citizens, I mean all those who live within its limits)…. In some countries, like France, a person who witnesses an act of agression or violence against another person without doing anything about it can be pursued for being a passive onlooker….. in the Bengalaru case, had there been such a law , not only the passive policemen but also those in the bus who refused to let the Tanzanians board can face the might of the law…. I believe that such legislation should be enacted with adequate information and publicity so that each citizen is able to assume his/her responsibilities. In a democracy each citizen is his /her brother’s keeper, this needs to be enshrined in our statutes. Racism and communalism must be wiped out…..